Animetrics® unveiled its latest facial recognition technology, Animetrics90, which makes 2D to 3D facial recognition possible. Using proprietary FACEngine® technology, Animetrics90 can detect and identify faces with up to 45 degrees head rotation – an industry first. In addition, the technology normalizes facial imagery, converting it to 3D geometry, thus making it possible to process and identify all facial imagery even those from cell phones and other PDA devices and ones taken in poor conditions. Animetrics90 also offers SDKs (Software Development Kits) for organizations that want to use FACEngine® technology for surveillance, access control and database searches. Conway, NH — Animetrics®, a developer of facial recognition technology, announced the availability of its Animetrics90 product line, the most advanced facial recognition software currently available. 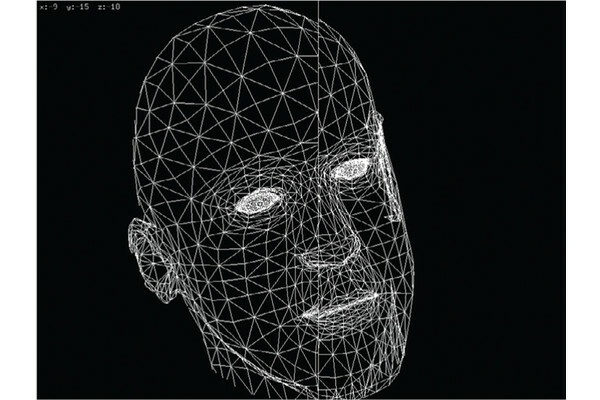 Animetrics90 makes 2D to 3D facial recognition possible for the first time in the history of facial recognition. Animetrics90 consists of five separate modules that give companies the power to accurately analyze and identify uncontrolled imagery. Using proprietary FACEngine® technology, Animetrics90 can detect and identify faces with up to 45 degrees head rotation – an industry first. In addition, the technology normalizes facial imagery, converting it to 3D geometry, thus making it possible to normalize, process and identify all facial imagery. Animetrics90 is currently being tested by the Defense Advanced Research Projects Agency (DARPA) for future use in military operations. “The accuracy results we have seen tested under a DARPA project proves this to be viable for use in military field operations where the uncontrolled environment yields the most difficult conditions under which to process facial imagery,” said Paul Schuepp, Animetrics president and CEO. Traditional facial identification systems cannot process uncontrolled imagery or match them to images stored in a database. Animetrics90 employs a powerful array of complex algorithms that help the technology identify any image, including those taken on less than ideal photographic equipment such as cell phones and other PDA devices. “This technology will allow companies, governments and global law enforcement personnel to take low quality images and match them to a watch list. Until now, this could not be accomplished using today’s technology,” said Animetrics founder Dr. Michael Miller. In addition to processing uncontrolled imagery, Animetrics90 offers a set of SDKs (Software Development Kits) for those organizations that want to take advantage of the powerful FACEngine® technology for applications such as surveillance, access control and database searches. This will allow professional programmers and Animetrics VARs to develop additional tools and applications for the industry.